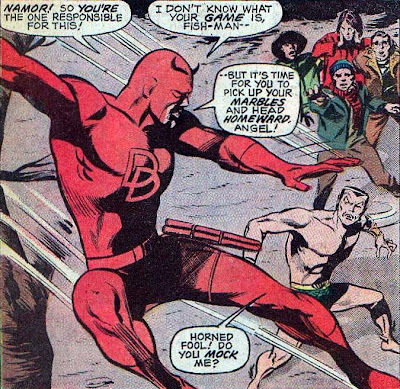 Daredevil [v.1] #77 is a great comic. "There goes the luckiest guy in the world." Falser words have never been spoken. 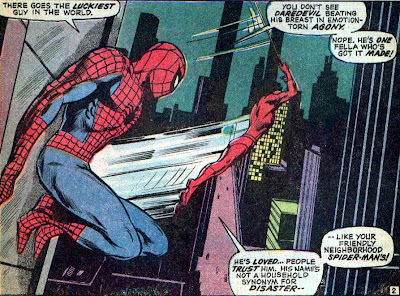 Is Spider-Man talking about the same Daredevil? 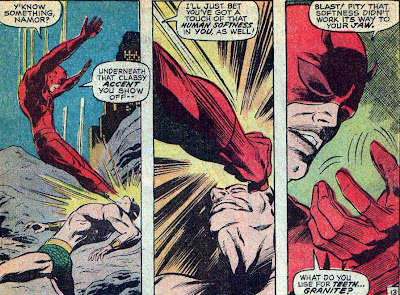 "What does Daredevil know about being hurt so many times you feel like a human punching bag?" 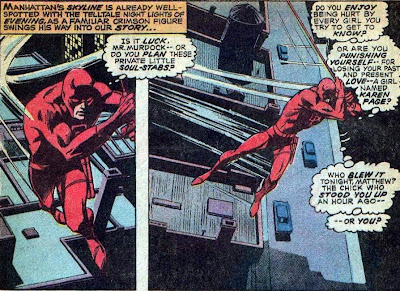 Spider-Man needs to check out Daredevil issues #1-present. 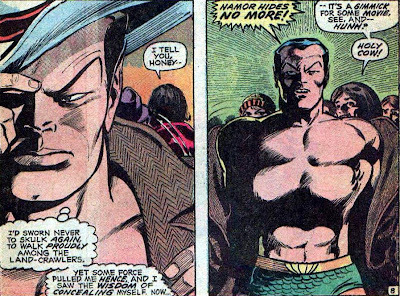 I wish I could get away with talking like Namor. "Though Rachelle is hungry no longer, still she could go for some Arby's...for their's is the Horsey Sauce tasty!" 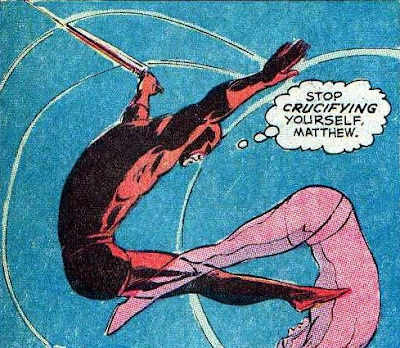 Ohmygod, Daredevil. Please shut up. 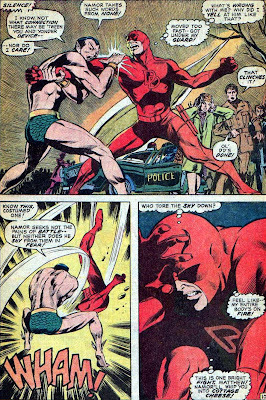 Although...that first panel is HILARIOUS. 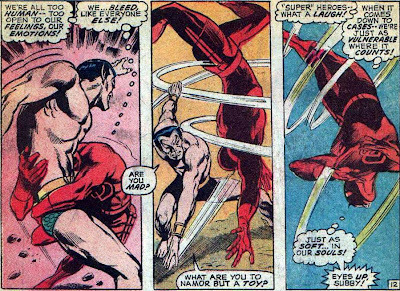 I want to know what Namor's "classy accent" sounds like. 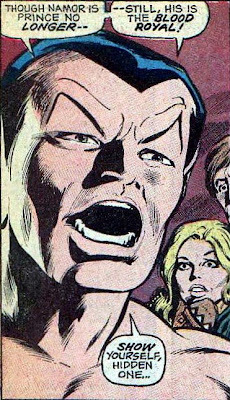 Their numbers end at two, Namor. 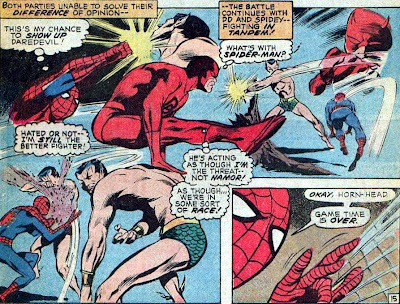 So Spider-Man, because he's kind of a jerk I guess, decides to wail on Namor for awhile to prove he's a better hero than Daredevil. 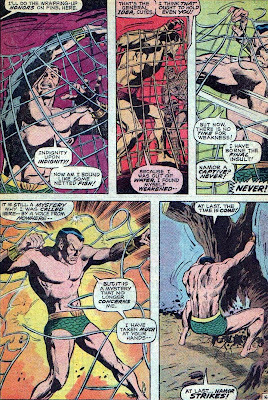 I like that meanwhile we see no thought bubbles from Namor. He's not thinking anything that he isn't saying out loud. 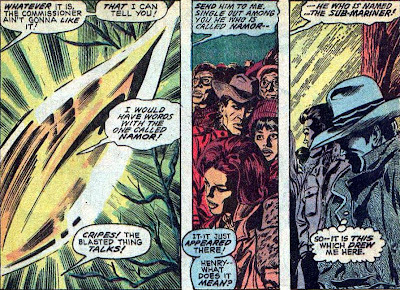 So they fight for awhile instead of addressing the real threat, which is that glowing thing that showed up. 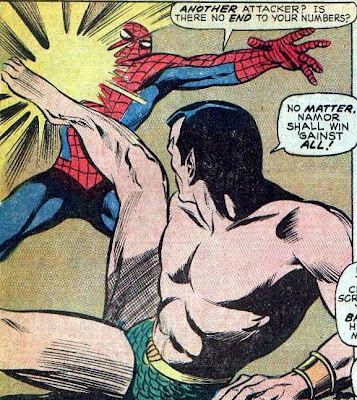 I like that Spider-Man called Namor "cutes." 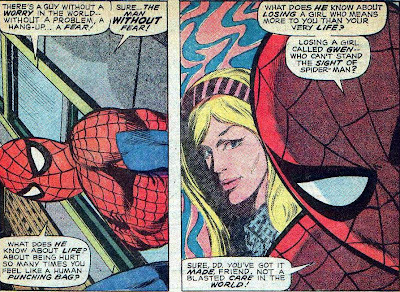 This story gets resolved in an issue of Spider-Man which I don't have.